OK, I may be a grandfather and a food snob (not really), but I am also a Lady Gaga fan. The new video for Born This Way is brilliant! Gaga takes the human condition: our hopes, dreams, fears, anxieties, and gives them voice – she commits to telling it like it is. She gives us a different lens to see it all through, or maybe holds up a mirror. And, she understands the Tao Te Ching! She knows that you can’t fully understand Good without also understanding Evil, and that in some ways we are all just passengers watching it happen. Gaga may be inspired by Madonna, but she takes her own ideas to a whole new level. Looking forward to the rest of the new album! Part of the Patina Restaurant Group (Joachim Splichal’s group), Pinot Provence is in the Westin South Coast Plaza, which makes it very convenient for pre-theater at Segerstrom Center for the Arts (new name for OCPAC, if you didn’t know). French/Locavore inclined, the food is always good, the drinks and wine excellent, the service gracious and efficient (they always take theater deadlines into account). We had a great meal on Friday night, including Duck confit croquettes – with smoked bacon jam, baby yellow frisée, diced duck egg, vanilla cassis jus, and the Charcuterie – with shaved St. Daniele prosciutto, duck breast, Soria chorizo, coppa, pickled vegetables, Dijon Chantilly, balsamic onions, and grilled ciabatta. The starters were delicious. Wonderful full flavor in all the meats, and the duck confit croquettes were melt-in-your mouth good. For entrées, I had Roasted Loch Duart salmon – served with cauliflower purée, caramelized cauliflower, marcona almonds, golden raisins, vadouvan curry. If you haven’t had this unique farmed salmon, try it – it is showing up on more local menus. Susan enjoyed the day’s special – a very delicate sea bass served with three sauces, and very nicely presented veggie accompaniments. Susan enjoyed a Proseco with the starter, and Sancerre with the fish. Too full for dessert on this trip, but based on previous visits, they do a wonderful job, and we’ll save room next time. 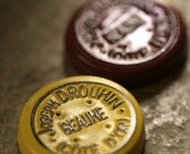 If you love Burgundy like I do, you might enjoy this article on Snooth about 20 new wines from Drouhin. 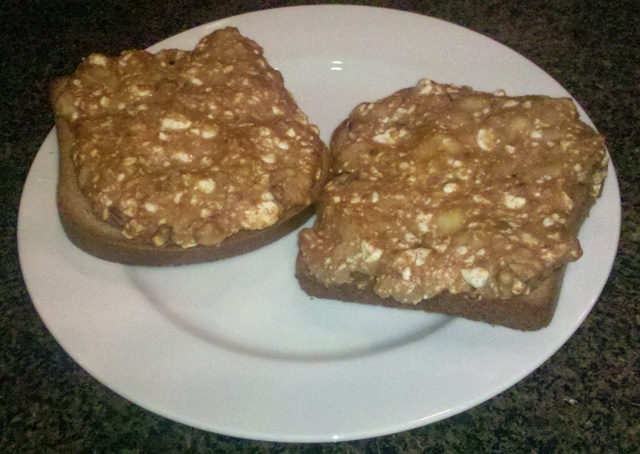 An old standby for me is baking fruit and cottage cheese on bread. The cottage cheese melts, and if you have a good imagination, you can pretend it is healthy cheesecake! It tastes much better than it looks! Takes 2 minutes to make, and 5-10 to bake. Mash the fruit and mix with cottage cheese, Splenda, cinnamon & walnuts. Mound on the bread, and place on foil lined toaster oven tray. Bake at 375 for 5-10 minutes. Make coffee or tea. Eat grapefruit. Your toaster oven may vary, so make sure it looks melty, but not brown. This has about 375 calories, 20+ grams of protein, 8+ grams of fiber, and is very low fat. Lots of energy! My crew & I went to Haven Gastro Pub near the circle in Orange, and only 2 of the 7 of us had NOT been there before. Since we are the Chapman Alumni Assoc. Irvine chapter, that isn’t a surprise. They have a huge beer menu, and a good wine list and full bar. I can personally attest that they can make a good Kamikaze AND a good Caipirinha! We had their chips AND their fries, plus Mac & Cheese, Sliders, Short Ribs, Chicken & Waffles, and Burger. All were really good. For dessert, we had BACON ice cream on a brownie (surprising, and great with the chocolate, I thought), plus the bread pudding with caramel fleur de sel ice cream. This house made ice cream pushed the limit of how much salt I can tolerate in a sweet treat, but didn’t go over the edge. I will be back! This is a classic – I won’t be cooking this weekend [bum knee :-(], but if you’ve never tried it, it is great! 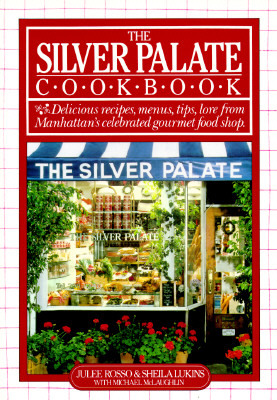 This was the first main-course dish to be offered at The Silver Palate, and the distinctive colors and flavors of the prunes, olives and capers have kept it a favorite for years. It’s good hot or at room temperature. When prepared with small drumsticks and wings, it makes a delicious hors d’oeuvre. The overnight marinating is essential to the moistness of the finished product: the chicken keeps and even improves over several days of refrigeration; it travels well and makes excellent picnic fare. Since Chicken Marbella is such a spectacular party dish, we give quantities to serve 10 to 12, but the recipe can be divided to make smaller amounts if you wish. Arrange chicken in a single layer in one or two large, shallow baking pans [I use my giant 12×16 baking pan] and spoon marinade over it evenly. Sprinkle chicken pieces with brown sugar and pour white wine around them. 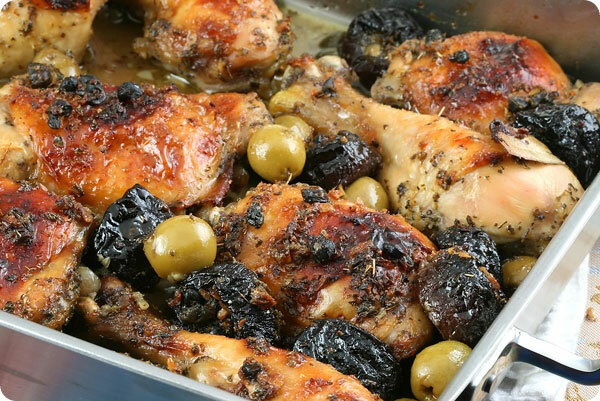 To serve Chicken Marbella cold, cool to room temperature in cooking juices before transferring to a serving platter. If chicken has been covered and refrigerated, allow it to return to room temperature before serving. Spoon some of the reserved juices over chicken. Can also be cooked the day before and reheated (just don’t overcook the first time). We just enjoyed the most wonderful Valentine’s Day dinner at Andrei’s in Irvine. Susan had a “Love Letter” (Chambord, Champagne and Dancing Cranberries), and in the spirit of pink drinks, I asked for a Tru Organic Vodka with a little cran and a little Pom, and lime wedges. Might have to find a name for this drink; it was good! The winter mushroom soup sounded good, so we both had that, and it was great. Very rich and woody and rich. We had more appetizers, the Duck Confit Flatbread for Susan (because she never gets it and I have it all the time – wait – that doesn’t sound right). I had California smoked salmon with blini and dill crème fraiche – delish! We shared the special entrée of Surf & Turf – 2 perfectly cooked very jumbo shrimp dusted with pistachios, and a rich flavorful filet mignon, served with fingerling potatoes, asparagus, mushroom fricassee and zinfandel beef reduction. Susan enjoyed a glass of Argentinean Malbec with this. 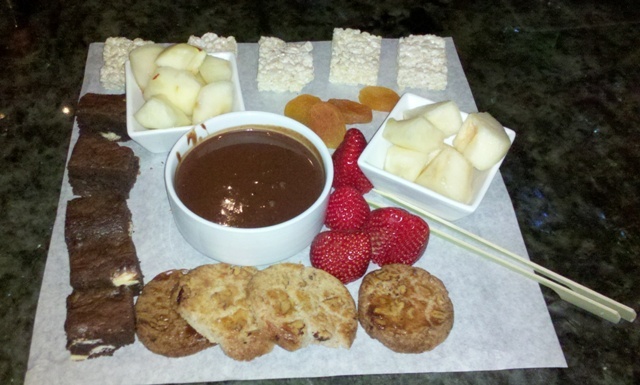 We searched the depths of our souls, I mean stomachs, and found room for the special Valentine’s dessert, Chocolate a Deux, with warm Toblerone and Guittard Chocolate, served with fresh fruit, bourbon pecan cookies, brownies, rice crispy bites, dried apricots. Just look at that picture! No, we didn’t finish it – we took some home for another day. Lovely service, live music: one of the best Valentine’s dinners we’ve ever had.